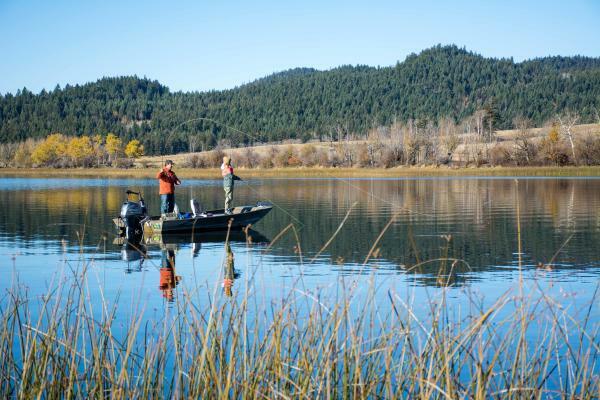 With the summer winding down and temperatures following closely behind, some of the best fishing of the season happens in the fall months. 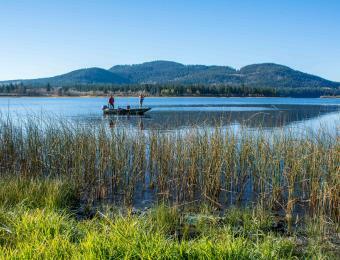 From September until freeze up, fly fishing opportunities are abundant as fish start to prepare themselves for the long winter ahead. Unlike the spring into early summer, the abundance of insect hatches are gone. The frustration of trying to figure out what size and color of chironomids has surpassed and anglers can focus on main fall food items. While we still see a few small hatches of chironomids at times in early fall, the main food sources are shrimp and leeches. 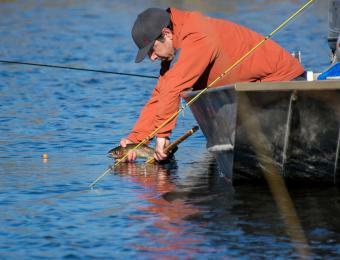 Fish slowly migrate in to shallower water at water temps start to drop, thus making fish easier to locate. Concentrating on the edges of drop-offs and weed beds is a great place to start hunting for rainbows. Using an intermediate sinking line and pulling shrimp slowly but erratically over the weed beds is a sure fire way to get a fish to strike, or using a floating line and hanging a leech under an indicator with a “slow” retrieve has brought a lot of success to not only myself but my clients as well and produced good numbers and size of fish. Good colors of leeches are maroon, black, brown and variations together. With shrimp, small sizes in light green to olive green. Fall fishing is my favorite time of year to fish, there are a lot less anglers on the water and the weather can be cool to start but turns in to more beautiful days than not. Good luck and safe angling.